While psychiatry assumes the authority of modern medicine, there are fundamental problems within the field. Currently, 1 in 6 Americans takes a psychiatric medication, yet there is debate over whether antidepressants are more effective than placebo, while benzodiazepines almost certainly do more harm than good. In this talk, we’ll put psychiatry on the couch and discuss how psychiatrists and MFTs can work together to better serve our clients. 1. List three limitations of psychiatric medications. 2. Explain two ways the medical model is applied to psychiatry, as well as the validity/reliability of the DSM. 3. Describe the one concept related to the approach of integrative psychiatry. 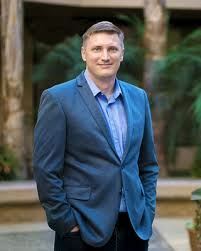 Shawn Barnes M.D. completed residency in psychiatry at UCSD and is a board-certified psychiatrist in private practice in Encinitas. He practices integrative psychiatry, combining medication-based psychiatry with therapy-based approaches and holistic-based treatments (nutritional support, vitamin/mineral supplementation, herbal medicine, breath-work, mind-body medicine, lifestyle optimization, and mindfulness). Course Completion certificates will be awarded electronically in exchange for a completed evaluation form. Please make sure Program Administrator has your correct email. This Course meets the qualifications for 2.5 hours of continuing education credit for LMFT’s, LCSW’s, LPCC’s and LEP’s as required by the California Board of Behavioral Sciences.